Cologne, c.1593. 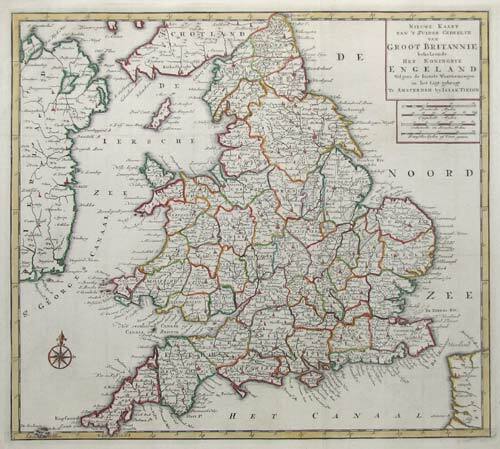 Map of England, engraved by Henry Nagel, who apparently only engraved maps for the Quad series. 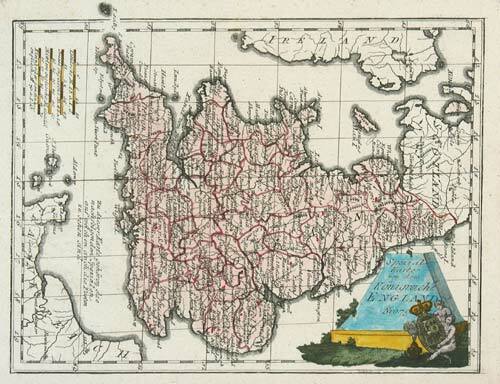 It is derived from Welshman Humphrey Lhuyd's map as published by Ortelius in 1573, and has a Latin-text decription on the reverse. Amsterdam, c.1600. 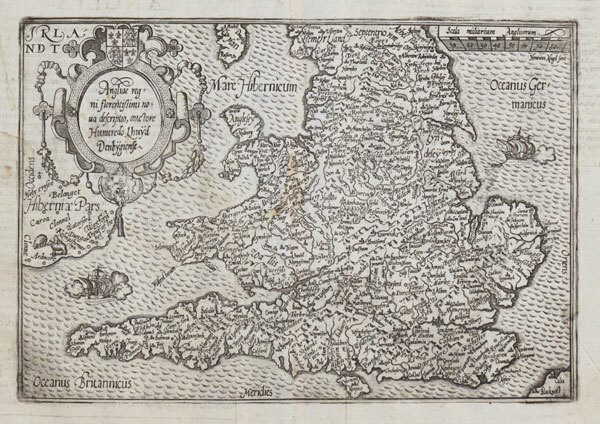 Miniature map of England & Wales, oriented with north to the right, engraved by Pieter van den Keere for the Bertius atlas 'Tabularum Geographicarum Contractarum'. Antwerp, 1601, Latin text edition. 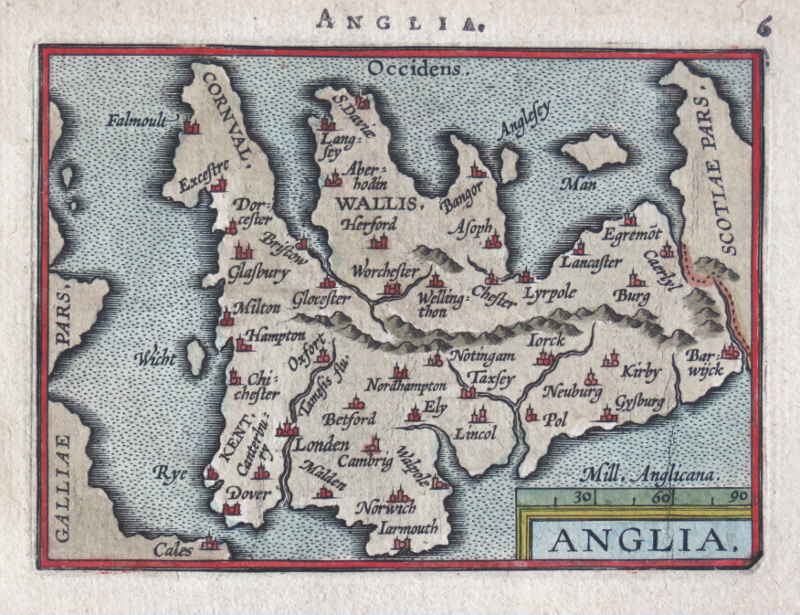 Miniature map of England and Wales, orientated with north to the right, with few placenames given, but including 'Londen', 'Oxfort', 'Cambrig', 'Lyrpol' & 'Caerlyl'. Amsterdam, c.1750. England and Wales, divided into counties. Paris, 1764. The only issue of this version of Bellin's map of England & Wales, slightly larger than the usual version. Vienna, 1789. Map of England and Wales, orientated with north to the right. Siena: Pazzini Carli, c.1790. 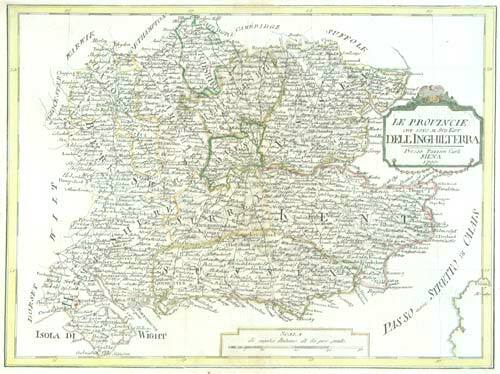 An uncommon map South East England, showing west to Hampshire and north to Bedfordshire.